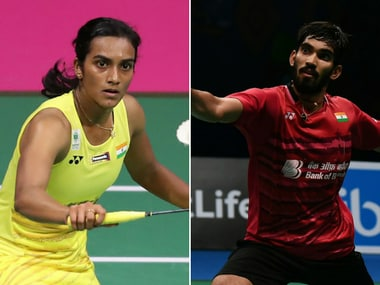 New Delhi: Olympic silver medalist PV Sindhu and World No 3 Kidambi Srikanth will lead the Indian women's and men's team respectively at the Asian Team Championships to be held in Malaysia from 6-11 February. Indian men's team had lost in the semi-finals against eventual champions Indonesia, while the women's side were blanked by South Korea in the quarter-finals in the 2016 edition at Hyderabad. The Badminton Association of India (BAI) has decided to field a formidable line up for this year's edition at Alor Setar, which will serve as qualification tournament for the Thomas and Uber Cups Finals. 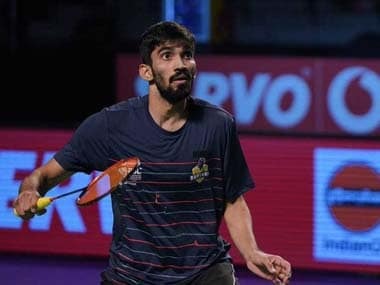 Leading India's charge in the men's singles will be Srikanth, who clinched four titles last year. He will have strong back up from HS Prannoy, Sai Praneeth and Sameer Verma who have proven that they can win against the best in the world on a given day. In the women's singles category, Sindhu will take the baton in her hands along with London Games bronze medallist Saina Nehwal. Krishna Priya and Ruthvika Gaade will also be in the team. The doubles contingent will include men's pairing of Satwiksairaj Rankireddy - Chirag Shetty, World No 32 Manu Attri - Sumeeth Reddy and Shlok Ramachandran - M R Arjun, while Ashwini Ponappa and Sikki Reddy will be handed the mantle in the women's doubles section and will be backed up by Prajakta Sawant - Sanyogita and Rituparna Das - Mithila UK. "After a very successful 2017 for Indian badminton on the world circuit, we want to start off 2018 by displaying our dominance in the Asian Badminton Team Championships," BAI General Secretary, Anup Narang said. "We were unfortunate to lose out in the knockout stages and with the current team we are confident of a good show and a podium finish," he added. The tournament will be a close fought affair with China, Hong Kong, Japan, Kazakhstan, South Korea, Malaysia, Maldives, Myanmar, Nepal, Philippines, Singapore, Thailand and Chinese Taipei competing in the men's event. Vietnam will compete only in the women's team event while Kazakhstan, Myanmar and Nepal will not have a team in the women's category. The top four semi-finalists in both the men's and women's categories will qualify for the Thomas Cup and Uber Cup Finals to be held in Bangkok from 20-27 May. The Asian Championships will be decided on three singles and two doubles in both the men's and women's categories.